It's time for another single block quilt tutorial. Yeah! This time we are going to make a windmill quilt. Straight lines, strip cutting, strip sewing; lots of impact yet fast and easy. Let's get started! 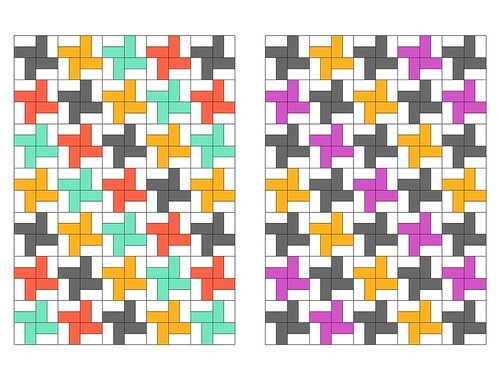 The above schematics illustrate two very different looks that the windmill quilt can take on, even though they both have white backgrounds. If you like a scrappy look, the example on the left might appeal to you but even if you don't, using just two fabrics looks great as well. 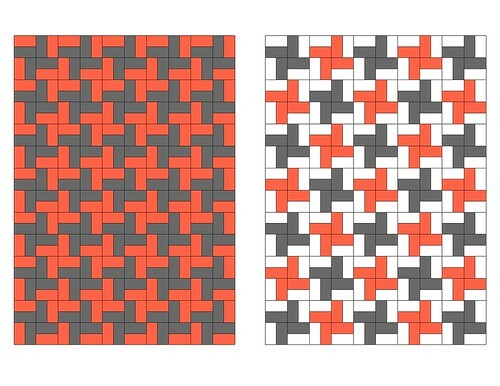 These examples (above) demonstrate how a two color scheme and three color scheme can be arranged. Again, two distinct looks with the same simple pattern. 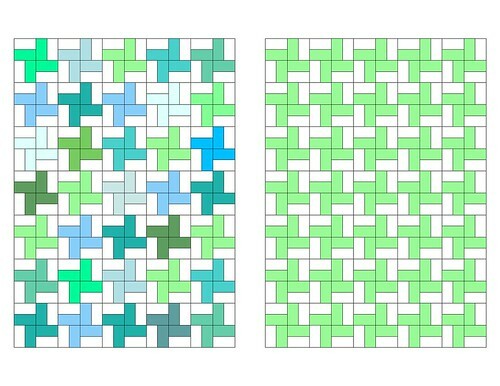 These classic colors make a sophisticated quilt. 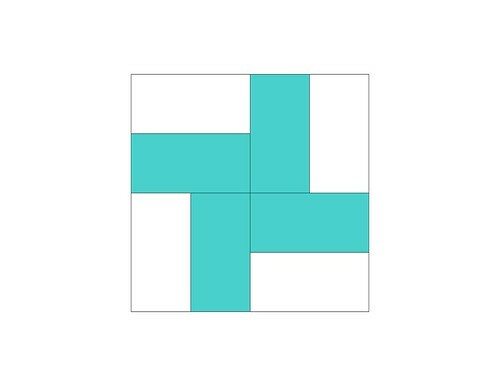 Four and five color schemes also arrange nicely. You could try six, seven or even eight colors. There is not much to limit you. 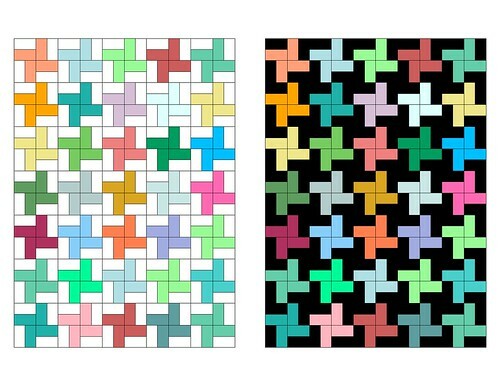 These examples (above) show how different the quilt can look simply by changing the background color. The windmills in both quilts are colored and arranged the same way, only the background colors have been changed. This makes quite a difference. 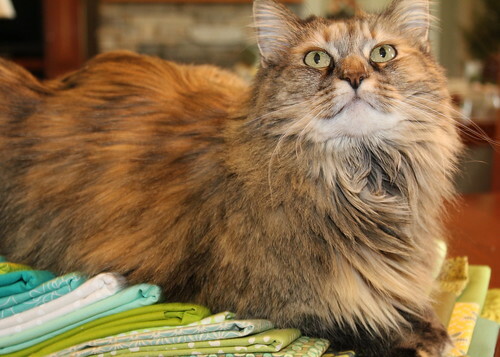 Now it's time for you to start planning your quilt. 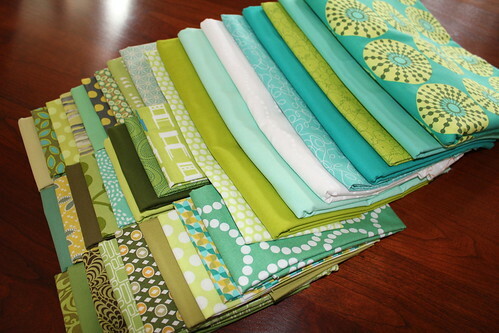 First decide the look that you wish your quilt to have. Will it be two toned or multi-colored? Break out your crayons and start experimenting. Decide on your finished block size. Will it be 4, 6, 8, 10 or 12 inches? I'll be providing cutting instructions for each of these sizes of blocks the next time I post. Lastly, you'll need to decide on the number of blocks that you want to use. The above schematics are each made of 35 blocks; 5 blocks wide by 7 blocks long. I'm going to make 8" finished blocks in the 5 x 7 block format so my quilt will be 40" wide by 56" long. A nice throw/lap size or baby quilt size. You can choose whatever size you like. I am using a mixture of greens and turquoises for my quile, set against a white print background. I think that this palette is kitty approved! Looking forward to seeing your end result of scrappy windmills. It is going to look gorgeous! Thank you Karen for your kind words. It's almost done and will be posted soon!